Family Reach is a financial lifeline for families fighting cancer. The main objective of their content is to reach cancer patients and their families and help remove the stigma associated with the financial burden of cancer. 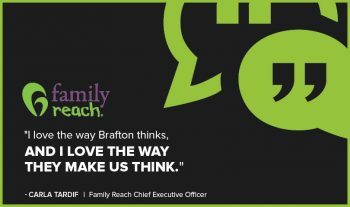 To support in this messaging, Brafton has produced graphic design work, animations and video.